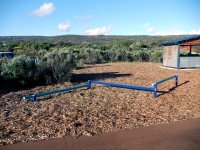 ROTARY PARK beside the beautiful Margaret River is a special entry statement where Rotary Margaret River has worked in partnership with the local council for more than fifty years to provide a welcome and recreational area beside the forest and the river at the town’s northern doorstep. 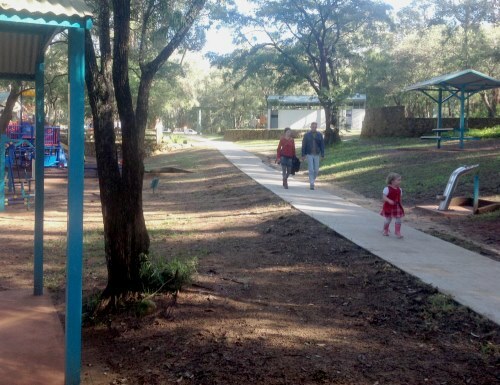 Over the years the park has grown from the installation of heritage steam engine ‘Old Kate’ to development of gardens, barbeques, toilets, play-ground and picnic facilities. To celebrate its fiftieth anniversary the club did a major upgrade to the park that included upgraded and expanded picnic areas, extension to the children’s playground and installation of adult exercise equipment (well utilised by all ages). 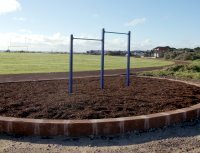 The club have added two pieces of exercise equipment to the area around Gnarabup Oval.